Like early-1800s railroad engineers trying to figure out the optimal width for track gauges, gadget makers in the 2010s are frantically experimenting with wearable technology. Nike put a “+” sports sensor into sneakers. Google launched Glass heads-up eyeglass displays. Disney research labs has announced Touché, a technology that can turn any surface — clothing, water, your leather couch — into a touchscreen sensor. Reebok has headgear that tells football players when they’ve taken too big a hit. 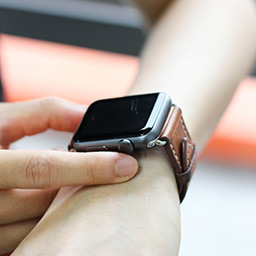 Wearable is the new gadget gold rush. Some say it won’t happen. Humans will have to get comfortable walking around with tech, and there have been some stumbles in design (Bluetooth earpieces are still uncool, and Google Glass has yet to overcome the image of Robert Scoble wearing it in the shower). The convergence of humans with technology faces the barriers of evolutionary aversion, as we recoil from the Uncanny Valley of humanoid-looking creatures that aren’t really human, to the social barriers of us accepting our friends are with us but completely checked out.